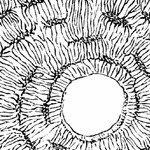 Given that the subject matter of many biological anthropologists is the human skeleton, it is not surprising that ethical concerns have arisen over the years about bioarchaeological research in particular. Images of bioarchaeologists as graverobbers, bent on the desecration of places of eternal rest, are not uncommon, and laws concerning the treatment of human skeletons have only arisen in the past few decades. 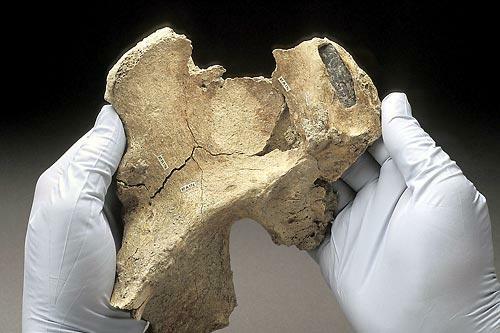 As part of my Human Osteology and Bioarchaeology courses, I usually give a lecture that summarizes the history of bioarchaeological practice and ethics in the United States. It's long been a goal of mine to learn more about the ethics of skeletal research around the world, so Part I and Part II will cover places that I have worked - America and Italy, respectively - with plans to learn more and write more about other countries this spring. Fast-forward two and a half centuries, and the American colonists had adopted the Native American as a symbol of their revolt against the British crown. 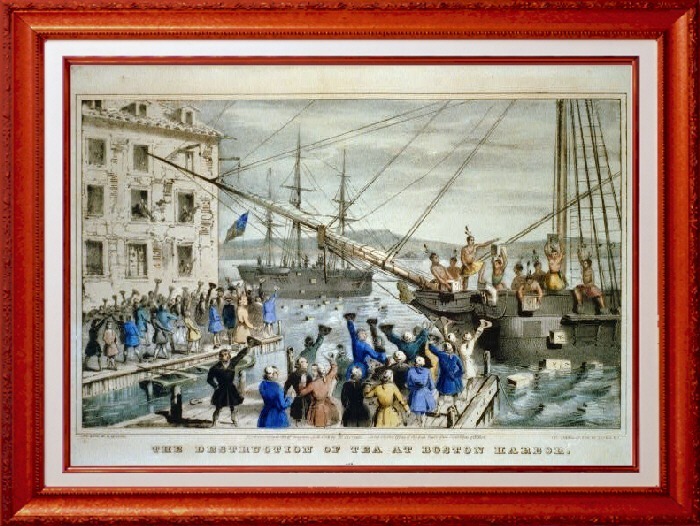 Famously, in 1773, hundreds of men dressed like Indians hurled thousands of pounds of tea into Boston Harbor to protest the tea tax of George III. In 1774 and 1775, Paul Revere produced engravings that showed colonists dressed as Indians being oppressed by the British. During the Revolution, the word "American" came to be used for all inhabitants of the area, not just the Indians, producing a sense of nationhood not present before. Native Americans became a powerful totem for representing the colonists' aims of independence. Yet there wasn't independence for everyone in America. 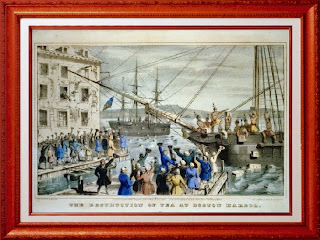 In the Declaration of Independence, our founding fathers claimed that George III "has excited domestic insurrections amongst us, and has endeavoured to bring on the inhabitants of our frontiers, the merciless Indian Savages, whose known rule of warfare, is an undistinguished destruction of all ages, sexes, and conditions." In listing the outrages of the British, it was expedient to claim that George III incited Indians to make war on the colonists. After the Revolution, George Washington encouraged people to come to America and to assimilate, and he specifically singled out the Native Americans as a group that needed to give up their traditional hunting grounds and take up farming. Thomas Jefferson also favored assimilation, as he hoped to "free" the native from his savage background - the hunter/warrior culture, the tribal form of organization, pagan religious views, and communal land ownership - so that he could participate in national prosperity. In 1808, Jefferson specifically invited Native Americans to unite with the newfound Americans as one people. Jefferson saw himself as a father-figure to the Native Americans, who were, he wrote, "in body and mind equal to the white man." He was disappointed when his "progeny" clung to their old ways. Unlike most politicians of the day, Thomas Jefferson was truly interested in the lives of the Native Americans. His Notes on the State of Virginia show how well-versed he was in their culture - he even attempted to analyze some of their languages, claiming a linguistic affiliation with Asian cultures. But TJ was more of an observer from afar - he took an etic perspective, not having met too many Native Americans in his life. And although Jefferson amassed Native paraphernalia and excavated a burial mound (quite literally in the neighborhood I grew up in), he didn't collect bodies. Skull collecting began with a vengeance in the 1830s with Samuel Morton. 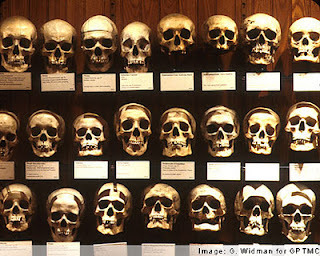 Morton wanted to teach the anatomy of race and intelligence to his students, but he didn't have a lot of skulls at his disposal and realized he needed a collection. Demand for human specimens far outweighed the legal supply - which consisted of executed criminals - and doctors began turning to bodysnatchers or, as they were delightfully known, resurrectionists to procure skeletons for them. Although 19th century resurrectionists would willingly dig up Euroamericans, it was far and away easier to dig up African Americans and Native Americans, who were often buried in graveyards for the poor. Morton managed to get some skulls from archaeological digs, but he didn't want ancient Native Americans. Eventually, as smallpox and other epidemics continued to decimate the Native population, Morton was able to buy plenty of skulls on the growing skull market. He used over 1,000 to form his so-called cranial library, which was the most comprehensive (and diverse) in the world at the time. By 1842, Morton was expounding on the character traits of the Native Americans that he found in their skulls: they were a savage people with peculiar and eccentric moral constitution. Morton's seemingly scientific, objective studies showed that whites were superior to everyone else, that blacks only flourished in servitude, and that Indians needed freedom or they would perish. A decade later, a lawyer-turned-ethnologist named Lewis Henry Morgan published a treatise on the Iroquois in New York state after having observed them for several years. His was the first systematic attempt to collect ethnographic data on a nationwide scale. Yet in compiling and comparing his data from around the world, in 1877, Morgan famously arranged groups throughout time and space into just three categories - savages, barbarians, and civilized people - which he conceived of as a developmental ladder. The savages still used a bow and arrow, while barbarians had developed ceramic technology, and civilizations had alphabets and written history. This theory of social evolution became the backbone for late 19th century anthropology, which allowed museums and universities to classify the artifacts and skeletons they had in their collections. Collection of skulls from around the world, c.
These collections were created as early as the 1850s, with the founding of the Smithsonian through a grant from James Smithson, a Brit who never set foot in the New World. Seeing that there were no collections of natural history of America, Smithson and then others jumped at the chance to give money to understand America better. Not to be outdone, George Peabody endowed a museum at Harvard and at Yale. The American Museum of Natural History was established in New York in 1869. And the Field Museum in Chicago came a bit later, in 1893. All of these museums began buying up natural history collections from smaller museums, which included thousands of birds, mammals, fish, and reptiles indigenous to the Americas. However, there were still very few Native American skeletons in these collections. Although skull collecting was a hobby of natural historians, around the end of the 19th century, it became a cottage industry, especially on the frontiers of America. It was best to have reliable documentation, including the individual's tribe, cause of death, level of intelligence (IQ), and personality traits because these data helped people like Morton correlate personality and intelligence with bony traits of the skull. Scholars like Morton and Louis Agassiz called on the American government for help; Agassiz wrote to the Secretary of War saying, "Let me have the bodies of some Indians. I should like one or two handsome fellows entire and the heads of two or three more" (quoted in Thomas 2000, p. 57). Government officials like the Surgeon General complied, ordering medical officers to collect and forward "all specimens of morbid anatomy, surgical or medical, which may be regarded as valuable" (ibid.). 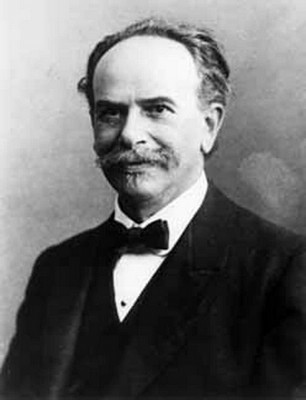 In the 1880s, Franz Boas immigrated from Germany. Although he's known as the father of modern American anthropology, Boas has a bit of a checkered past when it comes to body collection. As a surveyor employed by the British government in British Columbia, Boas was tasked with surveying the culture of the Native tribes there. He used this trip to build up a personal collection of Northwest Coast native skulls, which he carefully documented and sold - $5 would get you a skull, and $20 would get you a whole skeleton. Boas wasn't particularly good at finding specimens, though, and enlisted the help of better graverobbers. He found a couple of brothers who claimed to have over 75 skulls of the Cowichan tribes. Boas bought these and asked the Sutton brothers to find him more. The Cowichan found out about this deal, though, and obtained a warrant to search the Suttons' business. Boas, however, always thinking, shipped the bones under false invoices to New York. In sum, he had around 200 crania. When Boas became a professor at Clark University in Massachusetts, his skull collection came with him. It was exhibited at the World's Fair in 1893, but eventually the majority of the skulls went to the American Museum of Natural History. 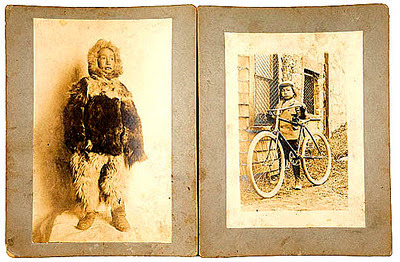 It was also quite fashionable at the end of the 19th century to collect live specimens as well, particularly Inuit (Eskimos), who were thought to be living fossils of the Ice Age, trapped in a stage of savagery. To his credit, Boas didn't think that Morgan's savagery/barbarism/civilization schema was very good and wanted to devise a better explanation of the diversity of cultures around the world. He wrote to the arctic explorer Robert Peary and asked him to bring back one specimen from Greenland the next time he was there. In 1897, Peary sailed into New York harbor with not one but six Eskimos. They became instant celebrities, and 30,000 New Yorkers paid 25 cents a piece just to see them. Boas arranged for the Inuit to live at the American Museum of Natural History for a year so that he could study them ethnographically. Not long after they arrived, though, all six Inuit contracted pneumonia. Eight months after their arrival, four were dead of tuberculosis, one made it back to Greenland, and one - an orphaned boy named Minik - remained in New York. Minik, along with Boas and museum staff, went to Central Park in 1898 to bury Minik's father, who had succumbed to TB. The staff followed the Inuit custom of laying out the body; and yet it wasn't actually a body. They had faked it from a tree trunk. Minik's father was actually autopsied, and his bones were cleaned and stored at the AMNH. When he was 15, Minik found out about this ruse from a newspaper. He asked for the return of his father's bones, but the AMNH would not comply. Boas was asked by reporters if he faked the burial, and he fessed up to it. When pressed as to why the museum had any right to the bones, Boas replied, "Oh, that was perfectly legitimate. There was no one to bury the body, and the museum has as good a right to it as any other institution authorized to claim bodies" (quoted in Thomas 2000, p. 83). 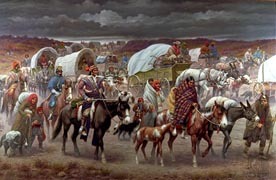 In the early part of the 20th century, Native Americans had little power to stop Euroamericans' desire to study their cultures, in spite of legislation like the Indian Reorganization Act, passed in 1934, which granted Indians the power to operate as tribal entities and restored many of their rights, including their land. One of the turning points in the archaeology of Native Americans came in 1971, at an excavation in Welch, Minnesota. For five weeks, archaeologists and students toiled in the dirt, painstakingly documenting everything they found. Towards the end of the field season, a group of Native Americans showed up, representing a new protest group called the American Indian Movement. They confiscated field equipment, backfilled trenches, and burned field notebooks. They were deeply offended that archaeologists were disturbing the graves of their ancestors and would not allow more digging. The archaeologists didn't understand - they were trying to preserve Indian culture, not destroy it. They didn't think it was disrespectful to dig up Indian skeletons. This attack didn't come out of left field - it resulted from Native Americans' being excited by Vine Deloria's 1969 book called Custer Died for Your Sins: an Indian Manifesto and the Civil Rights Movement. 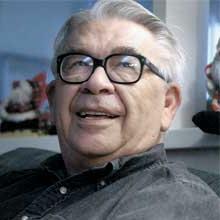 Deloria, in no uncertain terms, questioned how anthropologists became custodians of the Native American past and how they had any claims to truth. It was the anthropologists who perpetuated myths and stereotypes about Native Americans, and Deloria noted that anthropologists felt that "the only good Indians were the dead ones." The Indians in AIM demonstrated their dissatisfaction with the federal government and their lack of representation. They showed that, although many people thought the Noble Savage was dead and gone, Native Americans were still very much alive. The 1971 AIM protest triggered a nationwide dialogue over whether archaeologists should dig up dead Indians. In the late 18th century, Thomas Jefferson wrote that the dead have no rights, and this view has been largely carried into the 20th century, with physical anthropologists like Christy Turner (1986) writing, "no living culture, religion, interest groups, or biological population has any moral or legal right to the exclusive use or regulation of ancient human skeletons since all humans are members of a single species." Ancient human skeletons therefore belong to everyone because they are the product of unrepeatable evolutionary events. 1986 - the Society of American Archaeologists put out their Statement Concerning the Treatment of Human Remains, which notes that archaeologists acknowledge and respect the diversity of beliefs about the past and material remains, but they are committed to understanding and communicating the cultural heritage of humanity. In essence, the SAA toed the line, advocating for scientific interests in human remains but also recognizing traditional cultural interests as well. The SAA, though, was opposed to indiscriminate reburial. 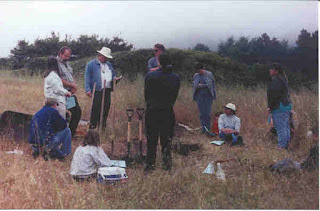 1988 - the Advisory Council on Historic Preservation put out a Policy Statement Regarding Treatment of Human Remains and Grave Goods, whose six principles said that human remains should be left alone unless excavation was necessary, that disinterment should be respectful, and that material should be reburied after scientific study unless it is of great scientific value. 1989 - at the World Archaeological Congress, the Vermillion Accord was adopted, which advocated respect for the remains of the dead, respect for the wishes of the dead concerning disposition, respect for the wishes of the community and relatives, but also respect for the scientific value of human remains. Disposition of remains should be decided on a case-by-case basis, with acknowledgment of the concerns of various ethnic groups. The first federal repatriation bill was introduced in the Senate in October of 1986, just a few months after the SAA's statement on the treatment of human remains was published. Although this bill wasn't signed into law, the 101st Congress in 1990 promulgated two bills that specifically targeted federal agencies and federally-funded museums other than the Smithsonian and contained repatriation provisions governing the excavation of Native American burials on federal and tribal lands. In the House, the Native American Grave and Burial Protection Act and the Native American Graves Protection and Repatriation Act were both put forward by Representative Morris Udall (D - AZ), and the Senate considered proposals from John McCain (R - AZ) and Daniel Inouye (D - HI). Ultimately, it was the latter Udall bill that passed, becoming NAGPRA when it was signed into law by George H.W. Bush in November of 1990. NAGPRA covers some basic areas of concern: rather than extending special rights to Native Americans, which would violate the 14th Amendment, the law awarded equal protection of property rights already extended to other Americans. 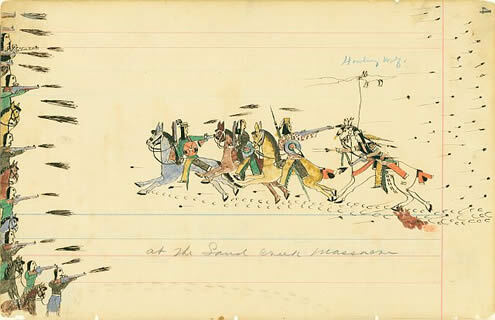 In essence, NAGPRA provided for the following: 1) consultation with Native American groups about graves on tribal lands; 2) creation of an inventory of Native American human remains and associated grave goods by all museums and universities; 3) allowance that federally recognized Native groups could request the return of these remains; and 4) a mandate for continued interaction between archaeologists and tribal representatives. Each action taken under NAGPRA requires a choice: are the materials in question culturally affiliated or culturally unaffiliated? Does the preponderance of the evidence place the material into one category or another? This question is often difficult to answer, though, partly because of the political nature of defining Native American groups - not all tribes are federally recognized. Probably the best known case under NAGPRA is the discovery of Kennewick Man, a skeleton that came to light in 1996 when a couple teenagers found it eroding out of the banks of the Columbia River near Kennewick, Washington. Upon the skeleton's discovery, the county coroner was called in, but since it was just a skull, the coroner called local forensic anthropologist James Chatters to look at it. Chatters noted a number of what he called Caucasoid features, and he saw from the color of the bone that it was quite old. He figured it must have been a Euroamerican settler from hundreds of years ago. Chatters' initial forensic conclusion was that this person was male, 40-55 years old, about 5'9", and had survived a number of injuries, including an embedded projectile. After taking CT scans of the skeleton, though, Chatters discovered that the embedded object was not a bullet or piece of shrapnel but rather a stone tool. He immediately sent a sample of the skeleton for carbon dating and was astonished to discover that Kennewick Man was in fact 9,000 years old. The popular press jumped on this finding: what was a white man doing in Washington state 9,000 years ago? Questions were raised over the "race" or ancestry of Kennewick Man: Do Native Americans had any claim to being the first people in America? Were Caucasians really the first people here? 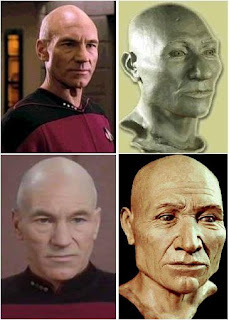 Because of Chatters' initial report that the skull was "Caucasoid" and because of an initial reconstruction that looked surprisingly like the British actor Patrick Stewart, flurries of theories about how Europeans colonized America 20,000 years ago came out in the media. 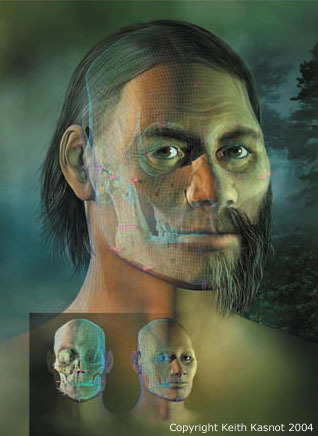 Chatters did the best with what he had; that is, he attempted to affiliate Kennewick Man with a contemporary population based on morphological traits of the skull. The problem with this, though, is that the population of which Kennewick Man was a part is unknown. Only about a dozen skulls exist from this time period, so our sample size is very, very small. There is no reason to think that Kennewick Man was not ancestral to modern Native American peoples, just because he doesn't look like them. Physical characteristics change through time, and skull morphology is contingent on environmental effects and the laws of evolution. There was quick opposition to further study of Kennewick Man by Native groups. Some implied that their opposition was based on the fear that tribal sovereignty would be threatened if it were found that Kennewick Man was not the ancestor of modern Native Americans. Yet no treaty between Native groups and the U.S. has ever allowed for the provision that the tribe's ancestors were not the first people here. 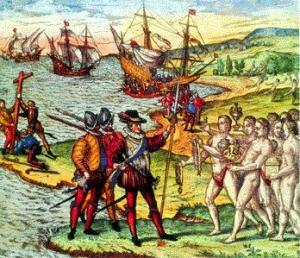 When Europeans arrived, they recognized the inhabitants of America as the sovereigns of the continent. Although laws and treaties governing Native American rights have changed, no one has challenged that Native Americans were here first. A 2002 ruling by Judge Jelderks noted that Kennewick Man was neither Native American nor culturally affiliated with any modern tribes. The SAA and other groups disagreed with the ruling that the skeleton was not Native American, but many archaeologists around the country celebrated the lack of cultural affiliation, which meant the skeleton did not have to be repatriated immediately. The first extensive look at Kennewick Man came in 2005, long after the Army Corps of Engineers locked them up at the Burke Museum, waiting for a resolution between Native American groups and the federal government. A team of researchers from the Smithsonian discovered that Kennewick Man was about 5'9", muscular, and right-handed, possibly from spear fishing and hunting. His joints showed that he had extensive arthritis; a fractured rib had healed, a depression fracture on his forehead and left parietal had healed, and the projectile wound in his hip had also healed, around the spear point. Most interesting was the team's finding that Kennewick Man had been deliberately buried. The Kennewick Man case makes NAGPRA sound like a wedge between Native groups and Euroamerican scientists, but that's not always the case. At the AIA meeting in Philadelphia a couple weeks ago, I heard a wonderful presentation by Sandra Hollimon called "Death, Burial, and the Liminal: Identities at Fort Ross, California." A skeleton was found eroding out of a bank at Fort Ross, California in 1999. The history of the fort is complex: in the early 1800s, the Russian American Company, in search of furs to sell, brought populations of Native Alaskans to northern California to help trap sea lions. At the time, then, the population living in and around Fort Ross included Russians, Native Alaskans, as well as two groups of Native Americans: the Miwok and the Kashaya Pomo. The skeleton was found almost literally at the intersection of the three neighborhoods: Russian, Alaskan, and Californian. Hollimon was able to study the remains in order to determine which group it may have belonged to. She found that the individual was too tall for the Native Alaska or California populations, but that his dental wear looked more Native. Permission was granted to do mtDNA analysis, which revealed the individual had maternal ancestry from Alaska. Hollimon's interpretation is that the man had a Native Alaskan mother, was brought to northern California by Russian traders, and may have lived with a Native Californian woman, who cooked him food in her traditional way, thereby giving him Native-looking dental wear. "Fort Ross Man" was reburied in 2001 along with collaboration from Native Alaskan groups and the Russian Orthodox Church. Because of very close consultation with Native groups and strict adherence to NAGPRA, Hollimon was able to do DNA analysis, which let her discover something new about "mixed" identities in the early 19th century and let her culturally affiliate the remains so that Fort Ross Man could have a proper disposition. The future of bioarchaeological ethics in the U.S.? We've made great progress in the past 30 years, both in recognizing the needs of Native Americans to protect their ancestors and their material pasts and in understanding the population history of North America. NAGPRA isn't perfect, though, as it leaves a lot to interpretation. As a bioarchaeologist, I generally fall on the side of scientific importance: Palaeo-Indian remains are few and far between, so each new skeleton that is found can help us fill in the picture of ancient life, in the same way that each new hominin fossil gives us a better understanding of the diversity and evolution of humankind. I hope that, with close consultation with Native American groups as Hollimon had, we'll be able to study these human skeletons in an appropriate manner - in a way that is comfortable to all stakeholders. In the meantime, though, the questions of cultural affiliation, legal rights, and scientific prerogative continue to surface as archaeologists and Native groups continue their dialogue about who controls the past. Thomas 2000, Chs. 3 & 4; Fabian 2010; Gould 1981, Ch. 2. Cole 1985; Harper 2000; Thomas 2000, Chs. 6 & 9; Fabian 2010. Deloria 1969, 1992; Turner, 1986; Thomas 2000, Ch. 20. NAGPRA 1990; Goldstein & Kintigh 1990; Meighan 1992; Lovis et al. 2004; Ousley et al. 2005. Chatters 2000; Ousley et al. 2005; Lemonick et al. 2006. Chatters, J. (2000). The Recovery and First Analysis of an Early Holocene Human Skeleton from Kennewick, Washington American Antiquity, 65 (2) DOI: 10.2307/2694060. D. Cole (1985). Captured Heritage: the Scramble for Northwest Coast Artifacts. University of British Columbia Press. Deloria, V. (1992). Indians, Archaeologists, and the Future American Antiquity, 57 (4) DOI: 10.2307/280822. V. Deloria (1969). Custer Died for Your Sins: an Indian Manifesto. University of Oklahoma Press. A. Fabian (2010). The Skull Collectors: Race, Science, and America's Unburied Dead. University of Chicago Press. L. Goldstein, & K. Kintigh (1990). Ethics and the Reburial Controversy American Antiquity, 55 (3), 585-591. S.J. Gould (1996). 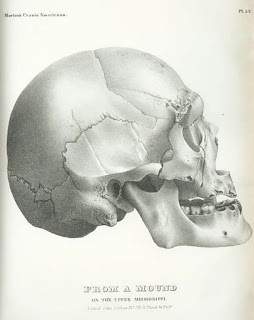 “American polygeny and craniometry before Darwin,” in The Mismeasure of Man, pp. 62-104. W.W. Norton & Company. K. Harper (2000). Give Me My Father's Body: the Life of Minik, the New York Eskimo. Steerforth Press. M.D. Lemonick, A. Dorfman & J. Kluger. 2006. 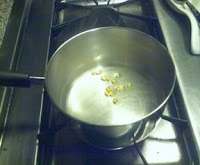 The Untold Saga of Early Man in America. Time Magazine 167(11), March 13, 2006. W.A. Lovis, K.W. Kintigh, V.P. Steponaitis & L.G. Goldstein (2004). Archaeological perspectives on the NAGPRA: underlying principles, legislative history, and current issues. In: Legal Perspectives on Cultural Resources, edited by J.R. Richman and M.P. Forsyth. Altamira Press, pp. 165-184. C. Meighan (1992). Some Scholars' Views on Reburial American Antiquity, 57 (4), 704-710. 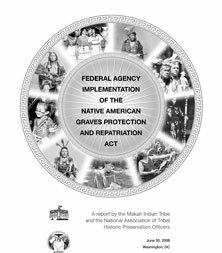 Native American Graves Protection and Repatriation Act (1990). Ousley, S., Billeck, W., & Hollinger, R. (2005). Federal Repatriation Legislation and the Role of Physical Anthropology in Repatriation American Journal of Physical Anthropology, 128 (S41), 2-32 DOI: 10.1002/ajpa.20354. D.H. Thomas (2000). Skull Wars: Kennewick Man, Archaeology, and the Battle for Native American Identity. Basic Books. C.G. Turner (1986). What is lost with skeletal reburial? I. Adaptation Quarterly Review of Archaeology, 7 (1), 1-3. Thank you for this thoughtful essay on a complex and sensitive issue.